Turkey and Russia have been working tirelessly to normalize relations that had been on hold for seven months. Top officials started to pay reciprocal visits and they ratified several energy, trade, and military agreements accordingly. It is no doubt that new negotiations in many respects are being carried out at official levels. Just recently, these two countries and their ally Iran embarked on a noble mission to save civilians trapped in Aleppo, a scene of intense clashes. 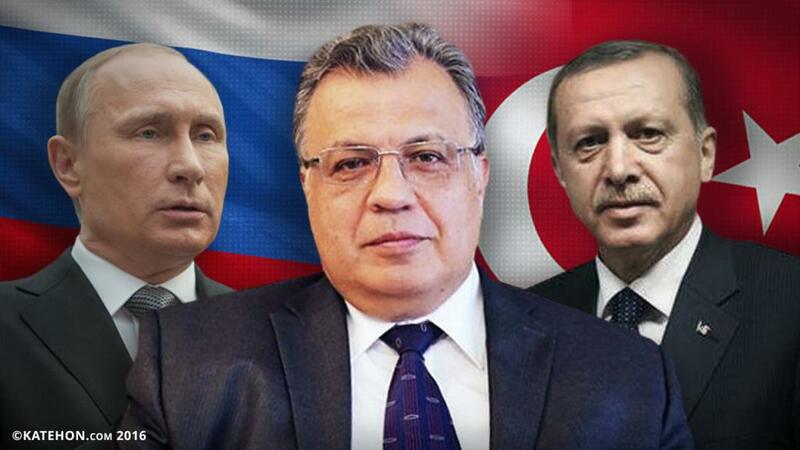 Shockingly, the night before the crucial meeting in Moscow of the Foreign Ministers of these three countries, the beloved Andrey Karlov, Russian Ambassador to Ankara was shot and lost his life after an atrocious attack. Ambassador Karlov was attending an art exhibition to promote a cultural event and to both strengthen and beautify the relationship between the two countries. He was addressing the audience, hoping to further develop ties between the two nations when he was heinously assassinated. The attacker was disguised as Karlov’s bodyguard and was standing right behind him during the speech. Ambassador Karlov was honorable and esteemed person, full of love. He performed his speech at the art gallery as a favor to his host country. The murderer was killed by Turkish Special Forces who surrounded the building. Three other people were wounded at the time of this chilling attack. I convey my deepest condolence to the Ambassador’s family and his loved ones; also to the Russian state and the nation. God’s mercy encompasses everything. He was a good man, trustworthy, endearing, cheerful, and affectionate; he was considered a very dear person in Turkey and he left this world with very good memories. Russians are respectful, well-behaved, courageous and good-natured people. Turkish people love Russians and vice versa and they will never let such plots prevent our deep-rooted connection. It was very encouraging to hear similar statements from the officials of both countries. The officials from Turkey were in close connection and coordinating with the Russian officials right from the beginning of this incident. They formed a team from both governments to follow the investigation. Both President Putin and President Erdogan denounced this terrorist act stating that it was a mere provocation to sabotage Russia-Turkey relations, which is improving rapidly. All the messages had a common theme, that neither country would ever allow such a wicked attack to derail or destroy their relations. This strong alliance is especially important because Ambassador Karlov who had been in charge to carry out this duty in Ankara for three years, played a very significant role in normalizing the relations. He strived with heart and soul to bring together the two nations and created solid steps in terms of culture, economy and energy. Despite this barbaric attack, the meeting in Moscow, attended by Mr Lavrov, Mr Cavusoglu and Mr Zarif concerning the conflict in Aleppo had a positive outcome. They all agreed to a joint statement about the political process in Syria. During the press conference held after the historical meeting, Foreign Minister Lavrov stated that Russia, Turkey and Iran are the most effective forces to resolve the Syrian crisis and that they all believe that the solution lies solely in diplomacy, not in military means. The parties concurred that sovereignty, territorial integrity and unity of Syria is very crucial to the peace process. As a consequence of collective actions of these three countries, the civilians in the eastern districts of Aleppo have been evacuated and the process will be completed within one day or two at the latest. These are certainly very promising developments and a good response to the provocateurs that tried to block ties between these important allies. Lately, both Turkey and Russia have been on the agenda of the British deep state. The British deep state continues to use terrorist groups to try and fragment Turkey. It also tried to sabotage its recent close relationship with Russia and Iran to bring a solution to Syria. First, the Besiktas football stadium attack left 44 martyred and more than 150 injured and only a few days later the Kayseri bus attack martyring many soldiers. This last painful incident was a continuation of the plot against Turkey. However, Turkey will not give what the terror wants and will do the opposite with the help of its ally Russia and Iran. The plotters will regret their actions if we show unity and strength in cooperation with Russia. The government officials should increase their reciprocal visits and connections in every way possible.